President Bush considered the passage of the Americans with Disabilities Act (ADA) in 1990 among the finest achievements of his administration, calling it the greatest piece of civil rights legislation in years. 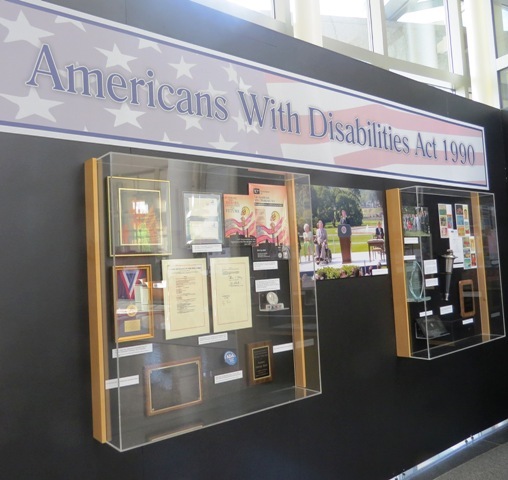 To commemorate the 25th anniversary of the passing of the Americans with Disabilities Act, visit the exhibit in our rotunda. 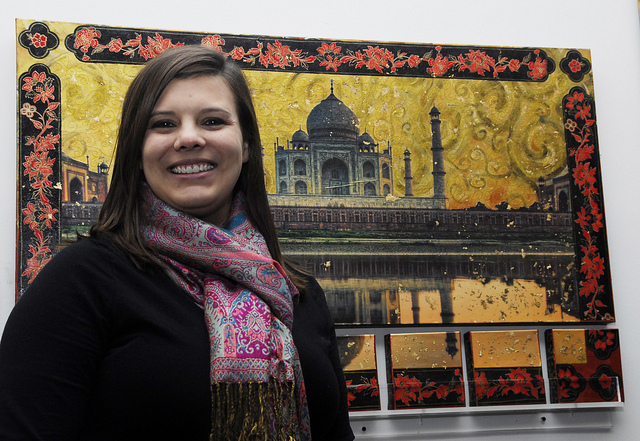 It will be on display now through January 2016. 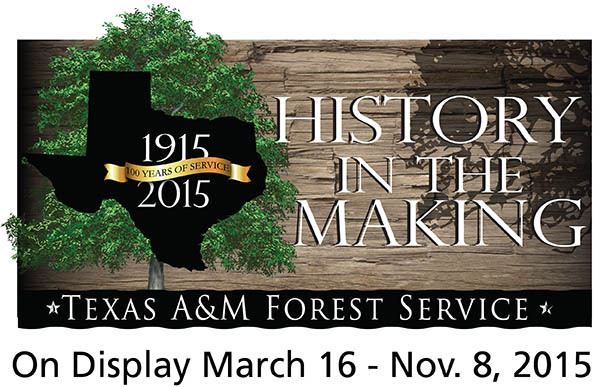 This year, the Texas A&M Forest Service (TFS) celebrates a century of leadership in protecting and sustaining the state’s trees, forests and related natural resources. From the first efforts of a few forest patrolmen on horseback in East Texas to today’s statewide network of protection, TFS has been on the front line – training and equipping landowners, communities and fire departments to prevent, prepare for, and protect against wildfires. The ongoing "Spotlight on Art Educators" exhibit in the Bush Library and Museum's rotunda displays original artwork from area art educators. Since the tragic death of their 3-year-old daughter, Robin, from cancer, President and Mrs. Bush have been inspired and motivated to fight this terrible disease. Robin's passing stirred their lifetime commitment to do whatever they could to bring an end to cancer. George Bush was a successful and pioneering Texas oilman, first on land and then offshore in the Gulf of Mexico. As a tribute to his role in the development and use of the innovative independent leg offshore jack-up rig, Scorpion, launched by LeTourneau in 1956, the exhibit tells the story of offshore drilling. 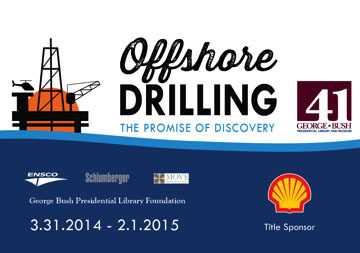 Visitors will gain an understanding of the history, evolution and future of offshore drilling, while learning about the work of George Bush, emerging technologies and ongoing research at Texas A&M University. 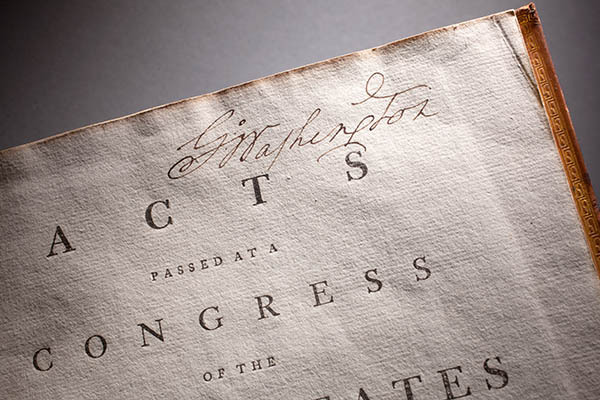 George Washington's personal copy of the Laws of the United States, First Session 1789, also known as the Acts of Congress, was on display at the13 Presidential Libraries including the George H.W. Bush Presidential Library and Museum, through a special partnership between the National Archives and the Mount Vernon Ladies' Association. This multi-gallery exhibit explored the nexus between conflict, wildlife, agriculture, the environment, and humans through the lens of photographer Howard G. Buffett. 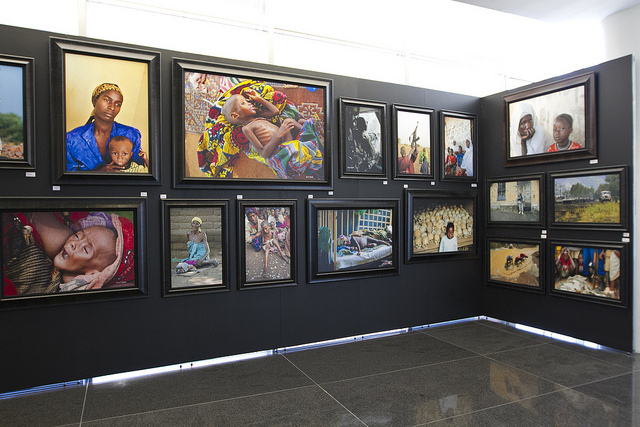 In conjunction with the official inauguration of the Center on Conflict & Development, a member of the new USAID Higher Education Solutions Network, 100 images documenting conflict in various forms and places were displayed. "Genome: The Secret of How Life Works," explored the nature and impact of our genes and the future implications of gene therapy, through visually-rich environments, artifacts and multi-media presentations. 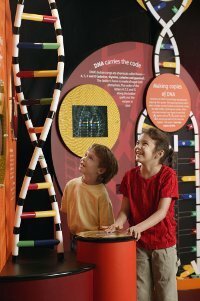 The exhibit examines the history of discovery from Gregor Mendel's rules of inheritance in the 19th century, to the famous Watson and Crick DNA double helix. 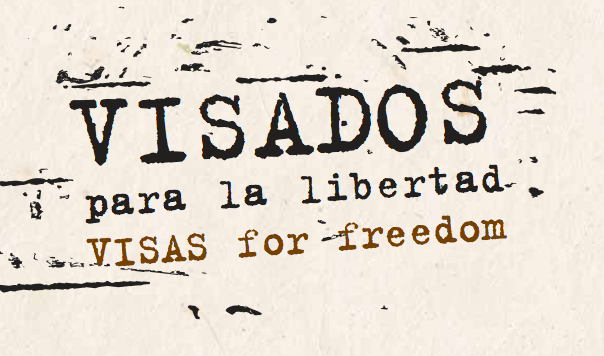 "Visas for Freedom: Spanish Diplomats and the Holocaust,” presented in cooperation among the George H.W. Bush Presidential Library and Museum, Government of Spain, Centro Sefarad Israel, City of College Station, City of Bryan and Texas A&M University, celebrated the humanitarian work of individuals who with their attitude and behavior helped to save thousands of lives and have risen to become an example and proof that it is always possible to resist injustice and barbarism. The exhibit featured a series of documents and photographs in honor of the humanitarian work and ethical commitment of Spanish diplomats who during World War II used their roles to save the lives of thousands of Jews condemned to extermination. The George H.W. Bush Presidential Library and Museum presented, "The Heart Truth® Red Dress Collection and First Ladies Red Dress Collection.” Twelve celebrity red dresses from the Red Dress Collection Fashion Show, held annually in New York City, were on display including dresses worn by Vanessa Williams, Valerie Bertinelli, Heidi Klum, Danica Patrick, Paula Zahn, Katie Couric, Robin Roberts, Allison Janney, Christie Brinkley, Lee Ann Womack, Felicity Huffman and Dara Torres. The Heart Truth® is a national awareness campaign for women about heart disease sponsored by the National Heart, Lung, and Blood Institute, part of the National Institutes of Health, U.S. Department of Health and Human Services. Additionally, First Ladies' red dresses from the 13 Presidential Libraries of the National Archives and Records Administration were displayed. The collection, originally initiated by The Heart Truth® Founding Ambassador Laura Bush, also featured some rarely seen gowns, including a dress belonging to Jacqueline Kennedy.